Do Kindle Countdown Deals Work For Ebooks? In one word, no, Kindle Countdown Deals don’t work. I should probably give you some background on my research and conclusion, though. First of all, I am not a believer at all in giving exclusivity, but for the sake of this experiment, I enrolled two of my books in Amazon KDP Select for 90 days. Secondly, although I have a reasonable social media network, I did not promote my Countdown Deal, as I wanted to see how this promotion worked, all by itself. Because I believe that it is important to separate a self-published author’s hard promotional work from what Amazon allude to do for self-published authors. Why would you give exclusivity to Amazon, if not to expect something in return? So what did I get for granting exclusivity and my Countdown Deal? Only thirteen counties have access to Kindle Countdown Deals. Firstly, because I live in a country that does not have a Kindle Store, there was no Countdown Deal for me or anyone else who happens to live where I live, in Switzerland. This, in fact, means that of 163 countries in the world, only 13, which have Kindle Stores, get the Countdown Deal reduction in price. This was a bummer start to my promotion. Next, when I understood this barrier, I finally managed to find my Countdown Deal promotion on my Kindle Dashboard, and then got a link to the site in the US Kindle Store. My next challenge, though, was to find my ebook in the list of over 3,500 other ebooks on Countdown reduction. I thought this would be easy, by selecting my genre from the sidebar links. Wrong! When I clicked, it didn’t take me to the ebooks on Countdown Deals, but to the entire listing of Kindle ebooks in my genre. All 300,000 plus of them. So, I started to wonder how difficult it would be for potential readers, and ebook buyers, to find my discounted ebook if I was having such great difficulty in finding it myself. I decided that it would be next to impossible for them. It’s not surprising then, to report that my ebook sales from my Kindle Countdown Sale were close to none, zip, nil, zero, or 40-love. So is this the return one gets for granting ebook exclusivity? As I have always believed, there is no such thing as a free ride. My thoughts now are moving to how many sales on other online ebook retailers I may have lost by granting 90 days of exclusivity to KDP for my four day Kindle Countdown? My other thought is that my social media network is a far better alternative to any KDP promotion. The first and last Countdown Deal for me. Thanks for sharing this. Going on my own experience and that of friends, Countdown Deals only work if you have your own method of promoting them, e.g. social media, BookBub, at least at the outset. I agree this shouldn’t be so, and that Amazon should make them more easily discoverable. 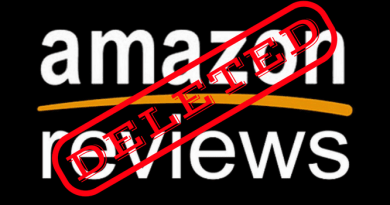 Maybe, if enough writers withdraw from their exclusivity on Amazon as threatened due to discontent with the new KU/KOLL loans, things will improve. Of course, I may be being overly optimistic.